First Novels Club: Rue! And Thresh! Rue is adorable. I'm going to need a BOX of tissues at the theater. I can't wait til they cast the rest of the tributes! Oh my gosh, you're right. She's precious. Thanks for the facebook link, Donna. It worked for me -- you just have to give it a few seconds. What? They haven't cast Gale yet? 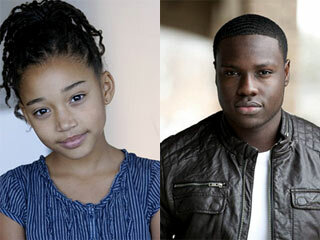 Agree with you about Rue. She's perfect. Oh, they better not ruin this story!